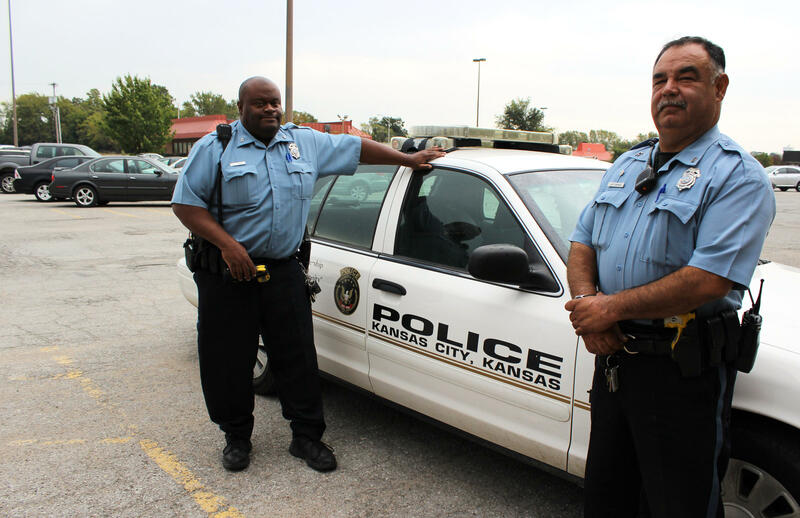 Officers Kevin Terry, left, and Jesse Casas, right, are community police officers for the Kansas City Kansas Police Department. They are each responsible for a region in KCK, where their job is to develop relationships with the community to preempt crime. This is the kind of thing Terry is able to do as a community police officer for the Kansas City Kansas Police Department. KCK’s community policing unit was formed in 1995, and Terry’s been with the unit for 16 of those 21 years. He’s one of 17 officers, each assigned to a geographic region. Terry’s is the Argentine neighborhood. Each day for Terry is a little different. In the mornings, he checks his email and voicemail. “If we’re gone for long periods at a time, the emails pile up,” Terry says. People in the community contact him directly. Photos and cell phone numbers are listed for each community police officer on the KCKPD’s website. He receives reports of abandoned vehicles, messages from residents concerned about vandalism, even calls from people outside of town, wanting to check out a neighborhood within Terry’s service area where they’re considering moving. Mostly, he’s out and about during his shifts, responding to calls with personal visits. Generally speaking, ‘community policing’ is an approach police departments take to encourage partnerships between police and the community. But, UMKC criminology professor Ken Novak says, the “devil’s in the details” when it comes to community policing. Every community has different needs, different issues. Building trust takes time, especially now, at a time when police-community relations have been strained throughout the country, particularly in urban areas. 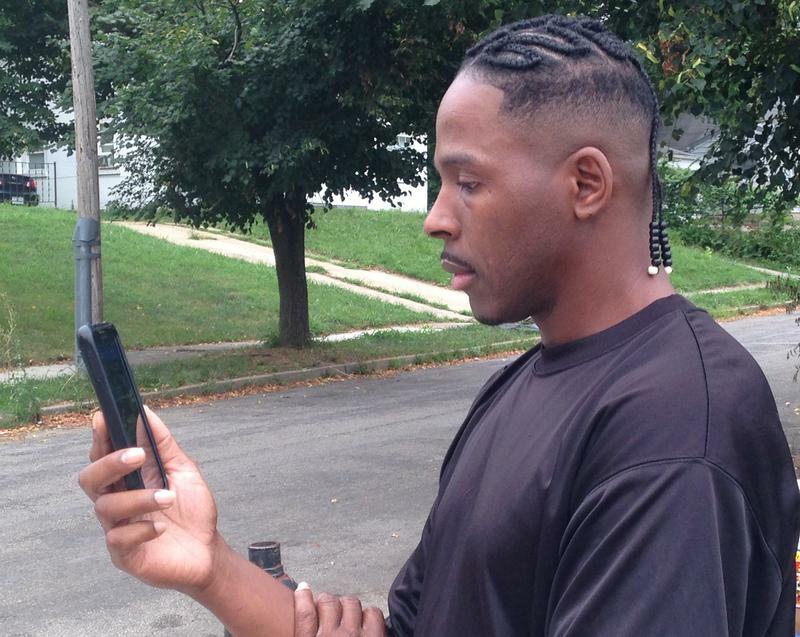 Andre Thurman, director of 100 Men of Blue Hills, believes in a partnership with police. But of community police officers in particular, he says they have to know the community. If they don't have some connection to the community they're serving, it's detrimental. "That's like me sending somebody to your house to come straighten [your] house up," he says. "I didn't give you no information he was coming, I didn't introduce you to him. He’s just been sent. You don't know if this guy's going to clear your house out, you don't know if he's going to do something violent to you when he's in your house, so you don't want to open your door to him." In KCK, the community police officers are given the time they feel they need to get to know their communities. But, their unit is an outlier, at least locally. While many smaller local police departments say they embrace the concept of serving the community with programs and partnerships with community leaders, most do not have a community policing department, or any officers dedicated solely to that duty. And, recently, the KCPD eliminated the community police positions, to redistribute the responsibility among all of the department's 1400 officers. On the one hand, Novak says having specific officers designated to foster relationships with the public may give other officers the impression that they don't have to do it. On the other hand, he says, "if it's everyone's job, then it's really no one's job." Officer Beth Clark runs the community policing unit in Gladstone, Missouri, a small town north of Kansas City. Along with ice cream socials, Trunk or Treat, and Pies with Police, Clark brought the national Coffee with a Cop program to her community — it was one of her first efforts. "It was pretty laid back, people could come enjoy a cup of joe with some cops, talk about baseball, the latest movie they saw, there was no agenda," Clark says. Officer Beth Clark runs the community policing unit in Gladstone, Missouri. 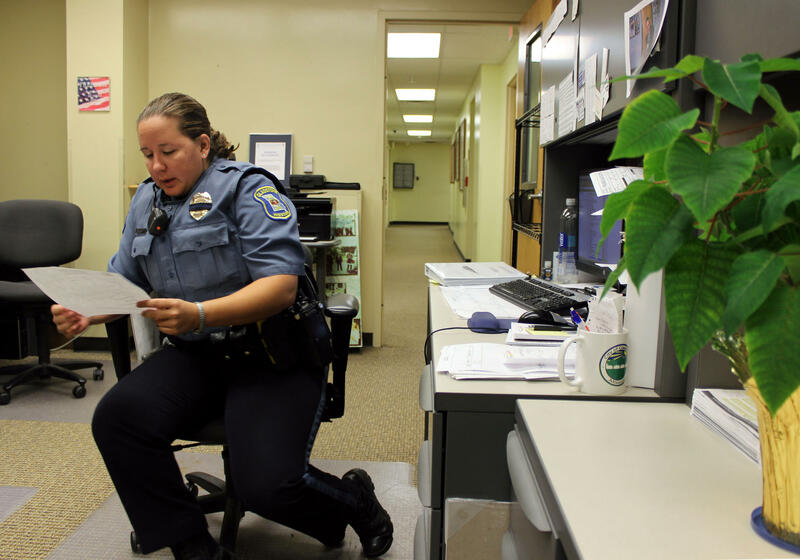 During her first year, she has implemented community-oriented programs like Coffee with a Cop. These one-on-one, non-confrontational interactions are paramount to the community policing strategy. What he’s talking about is simple in theory — it’s having a presence in the community. "I get so upset [when] I'm out in a uniform and kids say, 'If you act bad, I'm going to have this officer take you to jail,'" Terry says. "We're supposed to be their friends. You’re supposed to call us for help." Terry and other community police officers want to show the public that they're here to protect us. But with homicides up in both Kansas City, Kansas and Kansas City, Missouri, police departments need to decide whether to double down on community policing, redistribute the responsibility or give it up entirely. 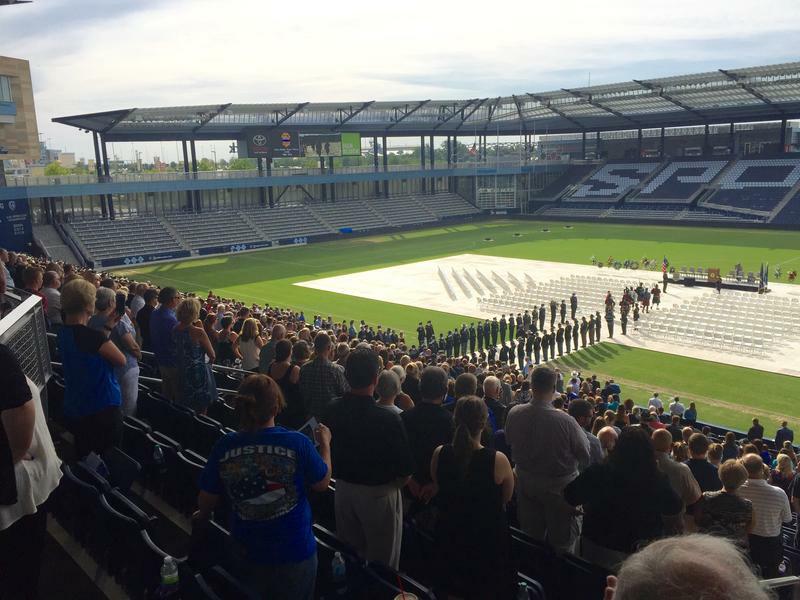 Hundreds of gathered at Children’s Mercy Park Saturday morning, to remember the life of Capt. 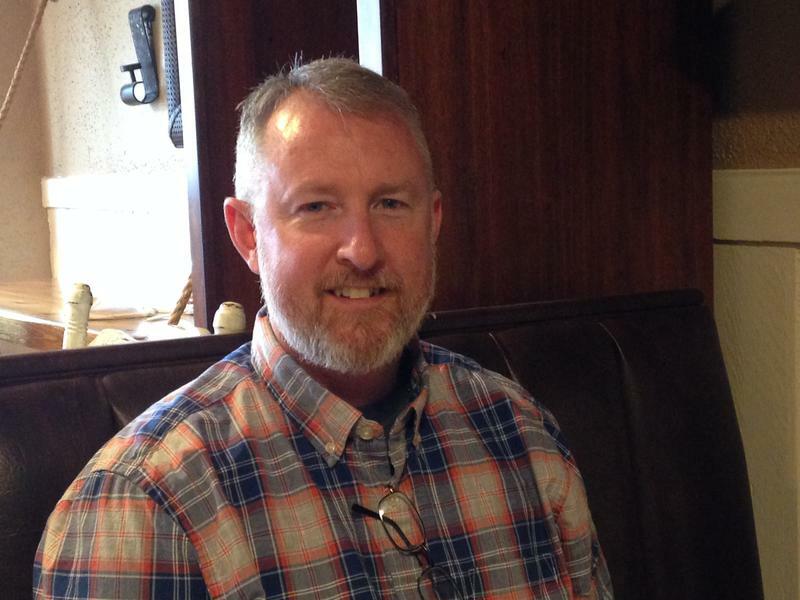 Robert “Dave” Melton, who was shot and killed pursuing a suspect Tuesday. Family members described Melton as tough, dedicated, and caring. He leaves behind six children and stepchildren, as well as a unborn baby girl. Fellow officers said he was proud of his military career, and was always professional. Melton served in Iraq and Afghanistan and received a Bronze Star Award for his service.